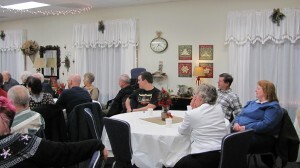 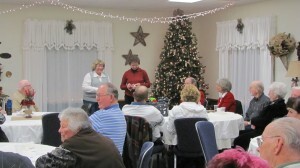 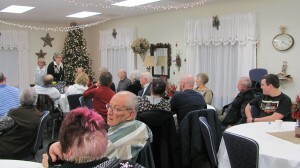 Over 40 members gathered on January 10 to share a great ham dinner and a good time. 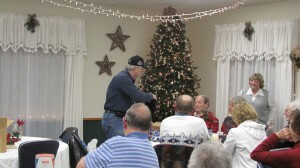 Everyone brought a while elephant gift and obviously took home a white elephant gift – some nicer than others. 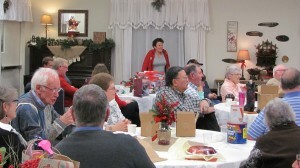 A lot of stealing of these marvelous treasures happened during the course of the evening while some of the beauties (used carburetor) were hard to trade. 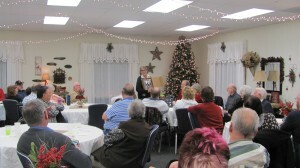 Thanks to Paula, Debbie, and Virginia for organization this event.